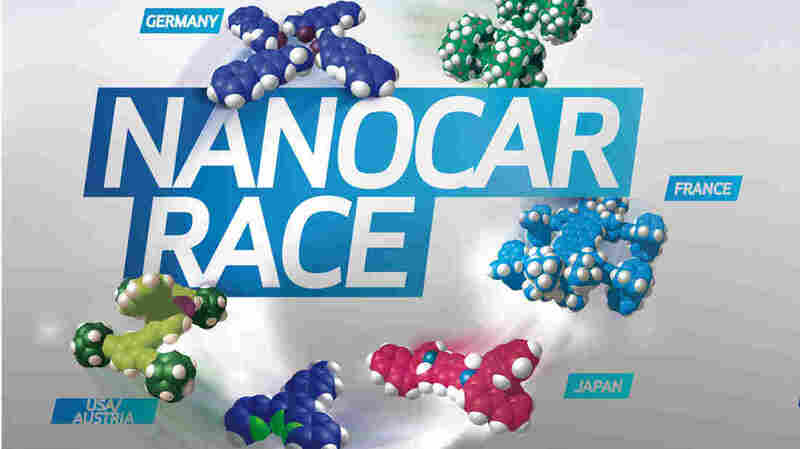 Microscopic Cars Square Off In Big Race : The Two-Way This car race involved years of training, feats of engineering, high-profile sponsorships, competitors from around the world and a racetrack made of gold. And it's invisible to the naked eye. The Nanocar Race, which happened over the weekend at Le centre national de la recherché scientific in Toulouse, France, was billed as the "first-ever race of molecule-cars." It's meant to generate excitement about molecular machines. Research on the tiny structures won last year's Nobel Prize in Chemistry, and they have been lauded as the "first steps into a new world," as The Two-Way reported. Racers had 36 hours to complete the tiny course. The Austrian-U.S. team, driving the Dipolar Racer, finished hours before any of its competitors. However, the two-wheeled car raced on its home track in Austria, on a silver track rather than a gold one. The team controlled it remotely. Rice University, where some of the scientists hail from, say silver was a handicap because it's a slower surface. Race scientific director Christian Joachim tells The Two-Way that "they were unable to compete on gold because on gold the molecule was not stable enough." The next finisher, the Swiss Nano Dragster, was declared a co-winner – because it was the first team to finish on gold. 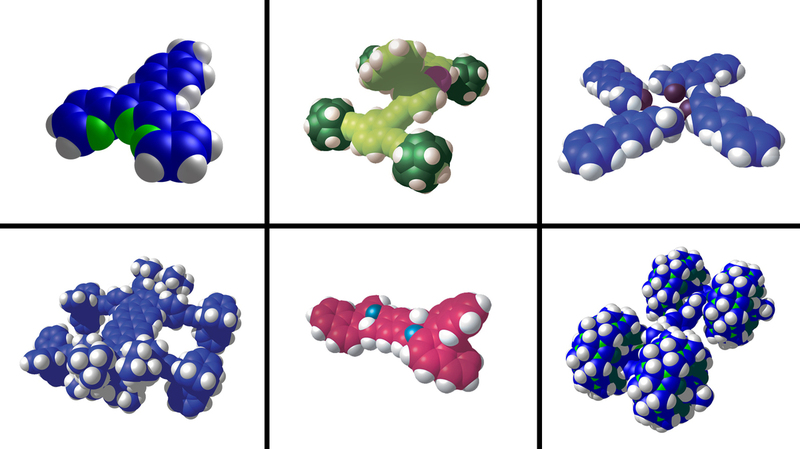 Unsurprisingly, a molecular car is not easy to drive, and pushing them was against the rules. Two teams – France's Green Buggy and Japan's NIMS-MANA Car – had trouble moving at all. Joachim says these were both larger molecules. The two others went around only a portion of the track before time expired. Teams were positioned several floors above their vehicles and the equipment, controlling it on computer screens. They moved their cars by jolting them with pulses using a scanning tunneling microscope that has separate tips. "First you make an image to look where is your molecule," says Joachim. "And after that you bring your tip on one point you map on the molecule and you pulse. Or, you increase the voltage." This could sent the little car forward by 0.3 nanometers – so it would take hundreds of pulses to send it around the full course. "Some teams have designed their molecules so that the incoming electrons raise their energy states, causing vibrations or changes to molecular structures that jolt the racers along. Others expect electrostatic repulsion from the electrons to be the main driving force." "This is the beginning of our ability to demonstrate nanoscale manipulation with control around obstacles and speed and will pave the way for much faster paces and eventually for carrying cargo and doing bottom-up assembly," said Rice University chemist and Dipolar Racer team leader James Tour. "It's a great day for nanotechnology."